Former acting CIA Director Michael Morell resigned his non-resident Senior Fellow position at Harvard on Thursday in protest of convicted military leaker Chelsea Manning joining the Kennedy School's Institute of Politics. "I am writing to inform you that I am resigning, effective immediately, as a non-resident Senior Fellow at the Belfer Center," he wrote in a letter to Dean Douglas Elmendorf. "I do so with sadness because I have enjoyed immensely my time at Belfer." "Unfortunately, I cannot be part of an organization—The Kennedy School—that honors a convicted felon and leaker of classified information," Morell wrote, going on to write that Manning was found guilty of "17 serious crimes, including six counts of espionage" with her leaks to WikiLeaks. Harvard this week announced Manning as its "first transgender Fellow" for the 2017-18 academic year and described her as a "Washington D.C.-based network security expert and former U.S. Army intelligence analyst." It also referred to her as a whistleblower. Manning, formerly PFC Bradley Manning before transitioning into being female, served seven years in prison for one of the largest leaks in military history. Manning twice attempted suicide and did her gender transition during her imprisonment. Her 35-year sentence was commuted by President Barack Obama and she was released from military prison this year. She has an active social media presence, sending out tweets like, "abolish the presidency" and "imagine a world without standing armies." Morell noted in his letter that senior military leaders said Manning's leaks put U.S. soldier lives in danger, and that the Kennedy School was assisting Manning in her "long-standing effort to legitimize the criminal path that she took to prominence, an attempt that may encourage others to leak classified information as well." He concluded that leaking classified information is "disgraceful and damaging to our nation." 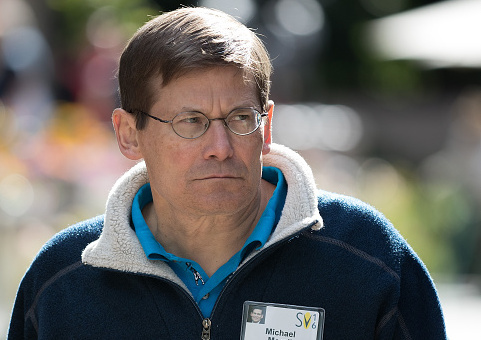 Morell served as deputy director of the CIA and acting director twice, in 2011 and from 2012 to 2013, when he replaced, respectively, Leon Panetta and David Petraeus. This entry was posted in National Security and tagged Barack Obama, Bradley Manning, Chelsea Manning, CIA, Harvard. Bookmark the permalink.